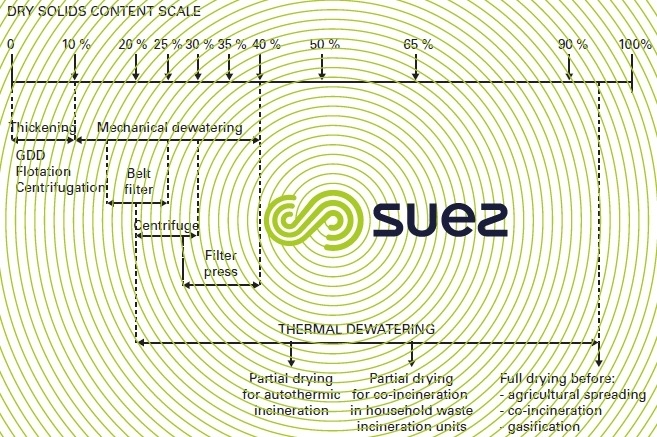 Figure 1 illustrates the main stages that can be found in a sludge treatment process (solid line showing the most classic methods or those undergoing development, dotted lines referring to possible but less widely used methods or those that are being phased out). reducing volumes (removal of water which is more or less bound with suspended solids). and, of course, incineration or co-incineration process as the final stage. dewatering by heating process (solar drying, dryers using heat transfer fluids or gases). 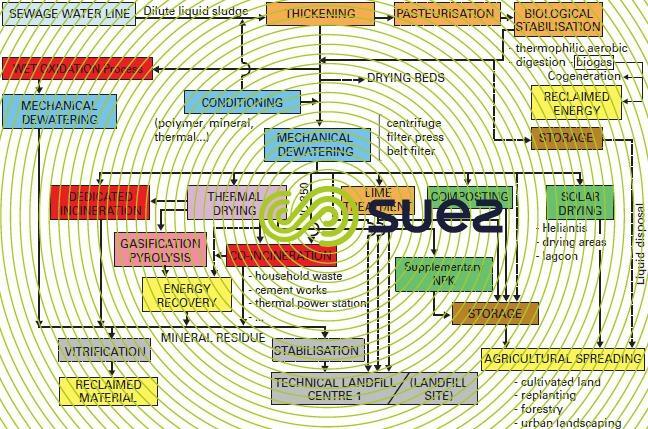 The energy used thus allows us to extract a large proportion or even all the water bound to the particles and, therefore, achieve high dry solids contents (figure 3 and drying). and, quite clearly, as the final stage, through more or less total incineration of the organic matter (incineration, pyrolysis, co-incineration, wet oxidation process… see thermal processes used to destroy the organic matter contained sludge and processes involving flue gas treatment downstream from the thermal processes). Note: when thorough removal of pathogenic germs is a requirement (sanitisation), this can be achieved with some of the classic stages (two-phase anaerobic digestion, Naratherm drying for instance); however, specific stages will be required (pasteurisation, massive lime treatment, for instance). Figure 2. 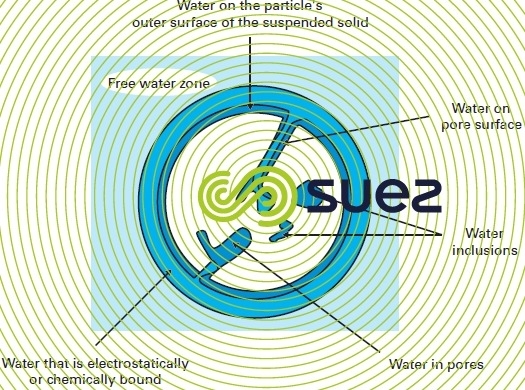 "Schematic diagram of a particle (suspended solids) in a sludge suspension"